Publication of the Grimms Children s Stories and Household Tales in 1812 brought the great European oral folk tradition into print for the first time. 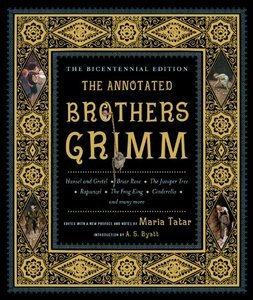 The Annotated Brothers Grimm returns in a deluxe and augmented 200th-anniversary edition commemorating that landmark event. Adding to such favorites as Cinderella, Little Red Riding Hood, Snow White, and Rapunzel, Maria Tatar includes six new entries, among them Four Clever Brothers, The Water of Life, The White Snake, and The Old Man and His Grandson. 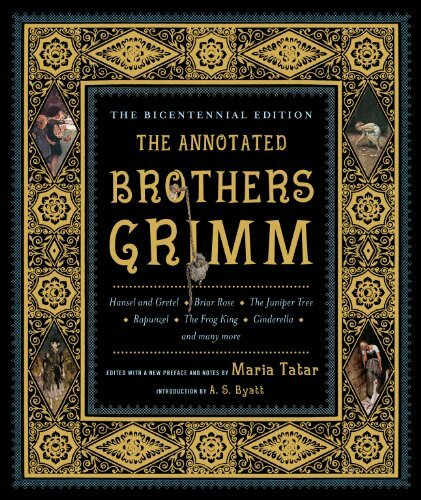 The expanded edition features an enhanced selection of illustrations, many in color, by legendary artists such as George Cruikshank and Arthur Rackham; annotations that explore the historical origins, cultural context, and psychological effects of the tales; and a biographical essay on Jacob and Wilhelm Grimm. A perennial favorite in the acclaimed Norton Annotated series, this magnificent volume will draw both children and adults into the enchanting world of fairy tales." 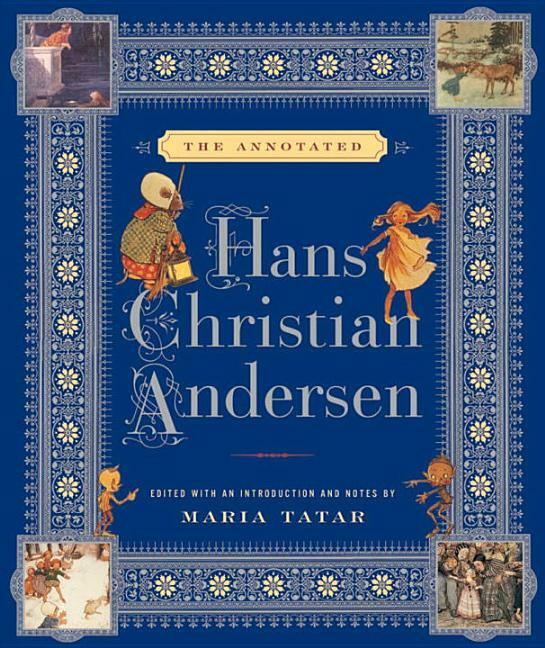 The Annotated Classic Fairy Tales is a remarkable treasure trove, a work that celebrates the best-loved tales of childhood and presents them through the vision of Maria Tatar, a leading authority in the field of folklore and children's literature. Into the woods with Little Red Riding Hood, up the beanstalk with Jack, and down through the depths of the ocean with the Little Mermaid, this volume takes us through many of the familiar paths of our folkloric heritage. Gathering together twenty-five of our most cherished fairy tales, including enduring classics like "Beauty and the Beast," "Jack and the Beanstalk," ,"" and "Bluebead," Tatar expertly guides readers through the stories, exploring their historical origins, their cultural complexities, and their psychological effects. 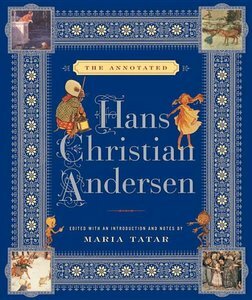 Offering new translations of the non-English stories by the likes of Hans Christian Andersen, Brothers Grimm, or Charles Perrault, Tatar captures the rhythms of oral storytelling and, with an extraordinary collection of over 300 often rare, mostly four-color paintings and drawings by celebrated illustrators such as Gustave Doré, George Cruikshank, and Maxfield Parrish, she expands our literary and visual sensibilities. As Tatar shows, few of us are aware of how profoundly fairy tales have influenced our culture. Disseminated across a wide variety of historical and contemporary media ranging from opera and drama to cinema and advertising, they constitute a vital part of our storytelling capital. What has kept them alive over the centuries is exactly what keeps life pulsing with vitality and variety: anxieties, fears, desires, romance, passion, and love. Up close and personal, fairy tales tell us about the quest for romance and riches, for power and privilege, and, most importantly, they show us a way out of the woods back to the safety and security of home. Challenging the notion that fairy tales should be read for their moral values and used to make good citizens of little children, Tatar demonstrates throughout how fairy tales can be seen as models for navigating reality, helping children to develop the wit and courage needed to survive in a world ruled by adults. This volume seeks to reclaim this powerful cultural legacy, presenting the stories that we all think we know while at the same time providing the historical contexts that unlock the mysteries of the tales. The Annotated Classic Fairy Tales is a volume that will rank as one of the finest fairy tale collections in many decades, a provocative and original work to be treasured by students, parents, and children. As a reader's introduction to Tolkien's Middle-earth, this guide contains references to the ancient history of this imaginary world which, though rarely explained, contribute greatly to the effect of Tolkien's art. This edition authoritatively illuminates the novel's antecedents and curiosities. Illustrations. One hundred years after J. M. Barrie published the novel Peter and Wendy, Maria Tatar revisits a story that, like Alice in Wonderland, bridges the generations, animating both adults and children with its kinetic energy. 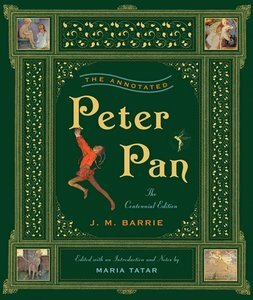 The adventures of the Darling children with Peter Pan and Tinkerbell in Neverland are the seminal tale of escape and fantasy. 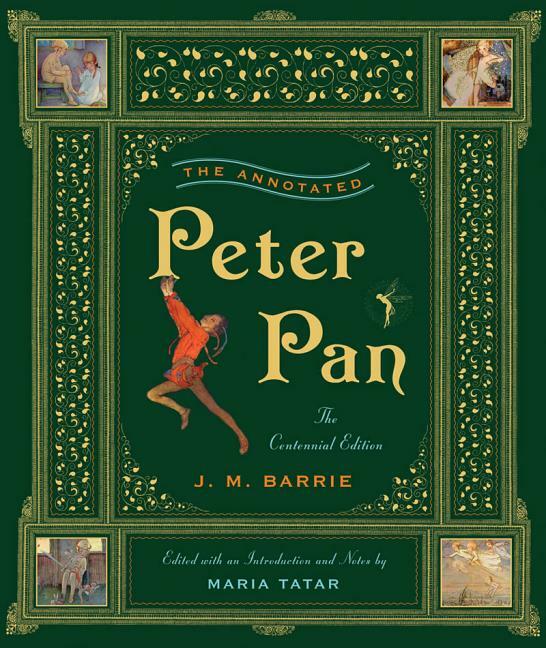 Inspired by Barrie's real-life adventures with the five Llewelyn Davies boys he adopted, the story of Peter Pan has a deep and controversial history of its own that comes alive in Tatar's new edition. This brilliantly designed volume with period photographs, full-color images by iconic illustrators, commentary on stage and screen versions, and an array of supplementary material, including Barrie's screenplay for a silent film will draw readers into worlds of incandescent beauty, flooding them with the radiance of childhood wonder and the poignancy of what we lose when we grow up." The Phantom Tollbooth is a universally beloved childhood classic. In the 50 years since its original publication, millions of children have breathlessly followed Milo's adventures in the Lands Beyond. Now Leonard Marcus, a nationally acclaimed writer on children's literature, has created a richly annotated edition of this perennial favorite. Marcus's expansive annotations include interviews with the author and illustrator, illuminating excerpts from Juster's notes and drafts, cultural and literary commentary, and Marcus's own insights on the book. The Annotated Phantom Tollbooth also includes an introduction that shares the fascinating background on the book's publication--Juster and Feiffer met as young neighbors in Brooklyn, New York, and thus began a fortuitious collaboration on a project that would become an instant classic--as well as its enduring place in the world of children's literature. The Annotated Phantom Tollbooth is the perfect way to honor a classic and will be welcomed by young readers and fans of all ages.